Everything DiSC® is a registered trademark of the Wiley Corporation. Everything DiSC provides leadership, management, workplace communication, sales, 360º leader feedback and team-based training. Leadership Solutions Associates, LLC is an authorized distributor and provider of Everything DiSC products and training. DiSC products provide all LSA customers, Federal or private sector with the training and competitive edge to increase mission effectiveness and your bottom line. Our DiSC offerings now offer Patrick Lencioni’s The Five Behaviors of Cohesive Teams training, which can take any team to the next level of functionality and results attainment. Review our DiSC-based offering below and select any title for more information from LSA. Using the framework of Vision, Alignment, and Execution, Work of Leaders encourages leaders to understand their own leadership behaviors and how they impact their effectiveness. Rich, compelling narrative adds depth to the data and strong visuals support the learning process by illustrating key messages. Contact LSA for more information. Everything DiSC Management® teaches managers how to bring out the best in each employee. Sometimes one-on-one are the hardest interactions in the workplace and this one-day training helps your managers interrelate with employees more effectively to convey requirements and encourage greater buy-in to the mission. Participants learn how to read the styles of the people they manage. The result is managers who adapt their styles to manage more effectively. Contact LSA for more information. Everything DiSC Workplace® can be used with everyone in an organization, regardless of title or role, to improve the quality of the workplace. This one-day training provides long-lasting skills and understandings that everyone is unique in their own way and everyone together can improve mission effectiveness or the bottom line. Participants understand and appreciate the styles of the people they work with. The result is more effective and productive working relationships. Contact LSA for more information. Everything DiSC Sales helps build long-term sales relationships by connecting better with your customers. Everything DiSC Sales can be a valuable tool for accomplished and novice sales people alike. With a 23-page sales-specific individualized profile this training and assessment provides a much-needed deviation from the “one-size fits all” sales training so commonplace these days. Each attendee learns who they are as a sales person and how they can adapt to any customer’s style to secure that trusting sales relationship. Leadership Solutions Associates, LLC is owned and operated by a certified and accomplished master sales trainer. Everything DiSC is a sales training tool with multiple functions (customer interaction maps, comparison reports and sales culture reports) for sales people and sales leaders to increase your organization’s sales proficiency. Contact LSA for more information. 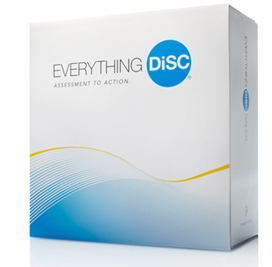 Taking the “sting” out of the 360º feedback process is just one of the appealing features of the Everything DiSC 363º for Leaders product and training. This program, via a proprietary program named “CommentSmart”, provides an exclusive selectable comments feature, which raters find valuable in providing focused, balanced and constructive feedback to their leadership. This unique offering uses DiSC basics and expands them to provide organized and realistic feedback to leadership to assist them in working with and leading their employees to increase mission effectiveness and/or the bottom line. Contact LSA for more information. The Five Behaviors profile, which provides both individual and team feedback, is grounded in the model described in The Five Dysfunctions of a Team, the internationally best-selling leadership fable by Patrick Lencioni. With this program, participants will learn how, as a team, they score on the key components of the model: trust, conflict, commitment, accountability, and results. 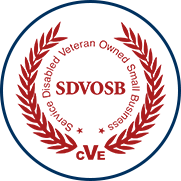 Additionally, the program is powered by Everything DiSC®, a model that helps individuals to understand themselves and others better. Using these results, participants will be able to create a better, stronger team. Leadership Solutions Associates, LLC’s commitment to quality prevails in this offering. Interested organizations will need to work closely with LSA to ensure that this product is offered and presented to the appropriate intact team to achieve the desired results. Contact LSA for more information. To learn more about our DiSC Training programs, please contact us via our web form or give us a call at 850-529-1759.